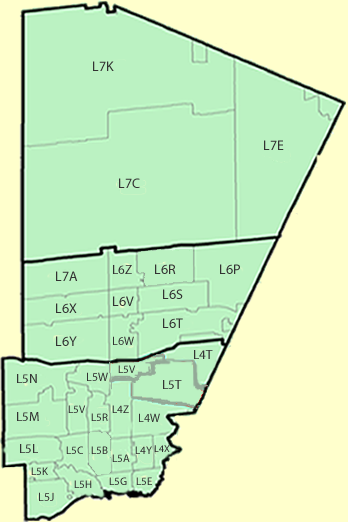 Service data provides geographic distribution of the formal settlement services sector in Peel. You may click directly on the FSA areas on the map below to view settlement services and statistics for individual neighbourhoods. Note: Adobe Acrobat Reader version 6 or higher is needed to view these PDF files.